Hemangiomas are benign vascular tumor-like growths that usually present themselves at birth or soon thereafter. 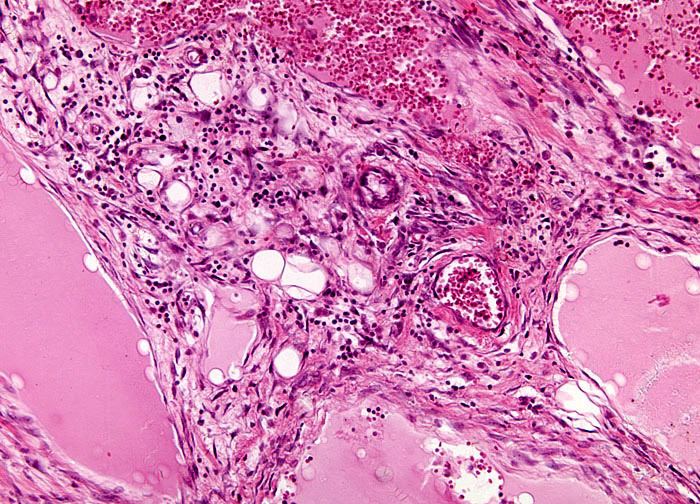 The abnormal dense collections of blood vessels may occur in the muscles, internal organs, and mucous membranes, but are most familiar along the surface of the skin. Hemangiomas of the skin are usually classified into three basic groups: capillary hemangiomas, immature hemangiomas, and cavernous hemangiomas. The cause of the growths is not known and effective prevention measures are not available. Diagnosis typically only entails a physical examination, but CT scans or MRI scans are sometimes recommended in order that the extent of the growth can be better assessed. In rare instances, hemangiomas are related to certain syndromes, which, if suspected, may lead to additional testing.